Art Deco in style. 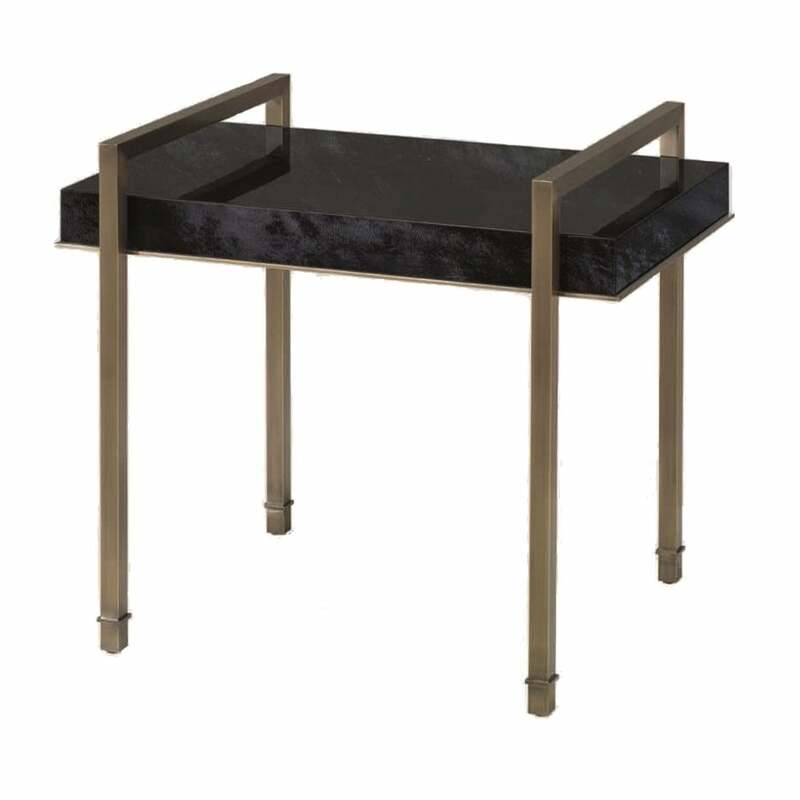 Top fully covered in dark grey parchment in high gloss finish, bronze trimming detail under the top and bronze legs. Favourite books, flowers and candles. Decorate a reading corner. Next to a seating area. Add a statement lamp to your reading corner. Eichholtz range of hand-crafted table lamps bring ambience to your room.